January 30, 2019: The CMS Medicare Moratoria has been lifted for new providers in 4 states. Hurry, this could end soon! Get your business started the right way, with CHC. All your manuals in hard copy & Word format. Login to 18 hours of Video Training for CHC clients. Certified Homecare Consulting provides consulting services for individuals, existing companies, and franchise companies who are developing Home Care, Home Health Care, Transportation, Hospice, GAFC, and DME startup businesses. 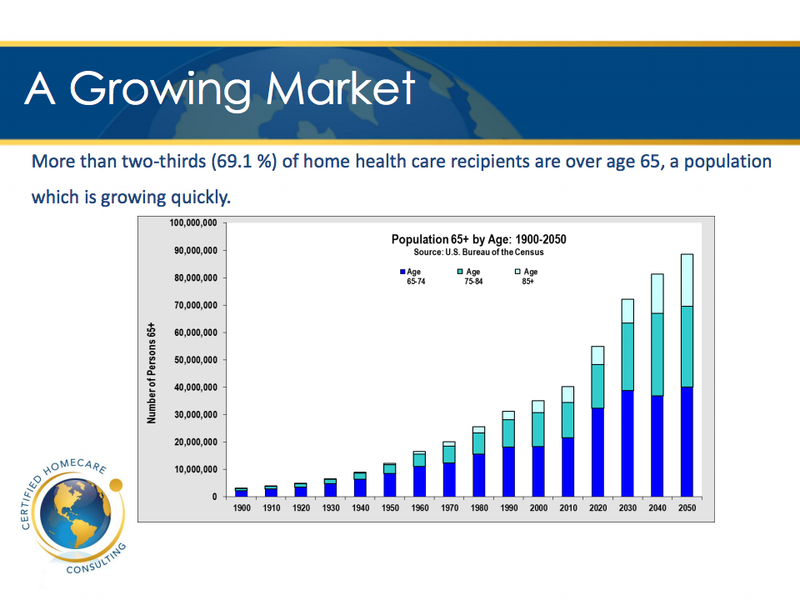 Our home care business consulting services and products are built on a strong foundation of individualized attention. Our home care consultants understand that every home care business and every situation is different, that’s why we take the time to get to know the individuals behind every home care and home health care agency, so we can develop a comprehensive plan to fit your unique business. guide you step-by-step through the startup process, saving you time and money. Choose Certified Homecare Consulting and start your business the right way! We developed our own successful home health care agencies, a non-medical home care agency, hospice agency, transportation, GAFC and DME just to name a few. Our home health care agencies are CHAP Accredited and our Non-Medical Home Care Agency is Private Duty Accredited. We know what it takes to develop a successful home care, home health, hospice or transportation business. Call us today at (617) 477-9594. We will teach you what is required to start a home care business in your state and help you take the first step in making your dream a reality. At Certified Homecare, we have assembled a consulting team that knows the industry, knows the regulations, and knows the regulators. Our consulting professionals are experts in developing pro forma budgets, preparing licensure applications, and managing the entire accreditation process.